If you could design the perfect night shoot you’d probably invite aircraft from several nations, ask them to being some special schemes and they’d all turn up to the point where you have to rotate them to fit them all in. 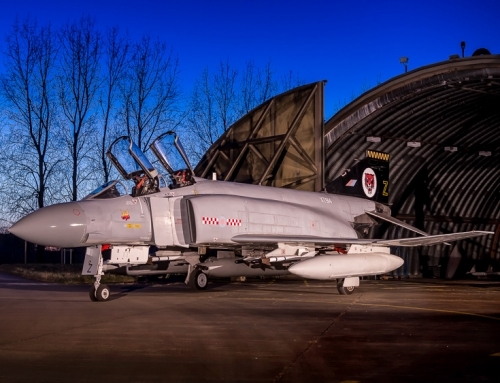 Well that’s what Phil Dawe and team managed to pull off on the 21st edition of the RAF Northolt night shoot. As the title suggests this is the 21st such event to be run at RAF Northolt in North West London by Phil Dawe and his band of volunteers to raise money to restore the Northolt Battle of Britain Ops room. Known locally as Building 27, this World War 2 Sector Operations Room from which aircraft were controlled in “Sector Z” to the west of London. 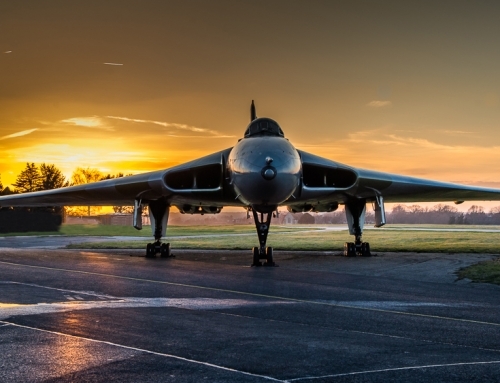 Phil not only organises the RAF Northolt Night Shoot but has also contributed thousands of hours towards the restoration. The event started after a briefing from the back of a Willies Jeep and a brief wait whilst the 45 squadron King Air was refuelled, then the photographers were let loose (within the limits of the service road of course). 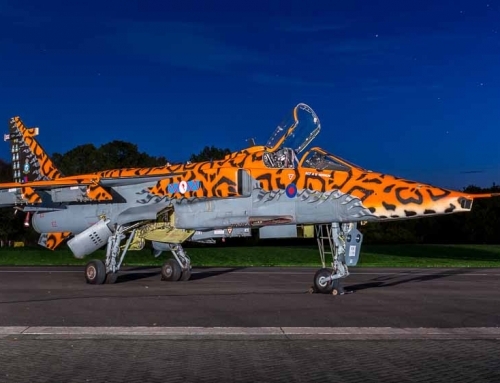 After only capturing Tordando ZG750 with her wing in scaffolding at RAF Marham it was fantastic news that Pinky in 25th Anniversary Operation Granby desert pink scheme had made it to Northolt and had pride of place in front of the pair of aircraft stairs that had been provided for aerial shots. 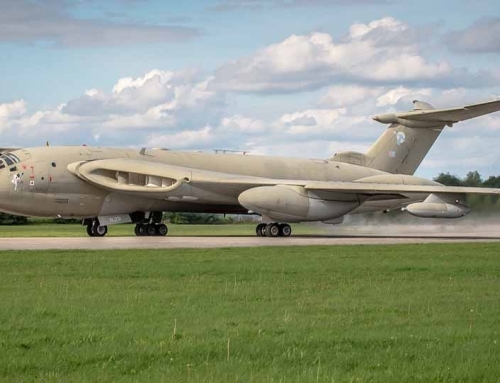 The aircraft based at RAF Lossiemouth with XV(R) Squadron was repainted in February and its tail features 11 operations the type has featured in during the last quarter of a century. She was also the backdrop for the central band of the RAF, fresh from performing at the changing of the guard at Buckingham Palace that morning, to capture the handover to the new conductor. In addition to Pinky, the RAF also contributed a Hawk T1 from 100 Squadron and a host of special schemes including 47 Sqn C130 Hercules ZH880 100th Anniversary tail, 28th Squadron’s 100th Anniversary Chincook and the Hawker Beechcraft B200GT King Air in the distinctive poppy scheme. RAF Benson also sent a Puma for a gas and go. 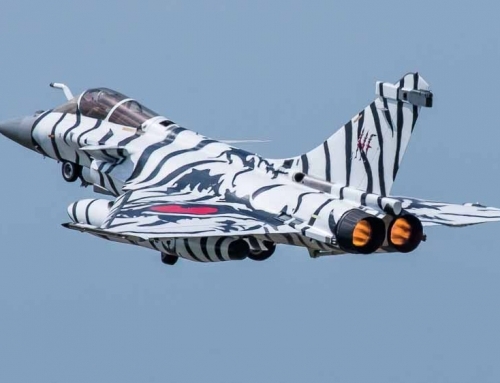 Foreign armed forces were well represented with the Polish Air Force, French Army and Irish Air Corps all sending assets. The Polish Air Force sent not only the C-295M twin turboprop Casa transport aircraft but also two PZL-130 Turbo Orlik trainers, the later of which gave an engine run before being covered for the evening. It was great to see the Polish Air Force well represented as they were stationed at Northolt alongside the RAF during the WWII and you pass the Polish War Memorial as you approach the airfield from the A40. 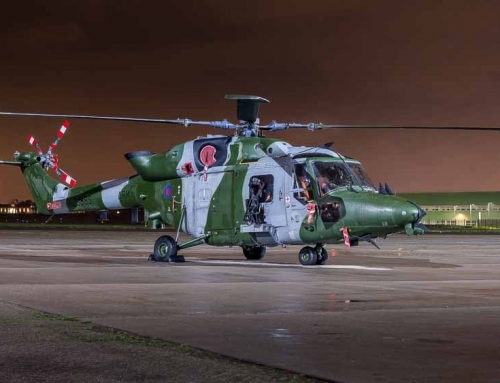 In their first appearance at the RAF Northolt Night Shoot the French Army provided the very unusual Armée de Terre Pilatus PC6 (888/MCB) B2-H4 as well as a pair of Gazelle helicopters, the first of which was in camoflauge with the second in a very striking Tiger scheme. The crew also brought some patches for sale as well as providing engine runs for the PC-6 and the Tiger schemed Gazelle. The Irish Air Corps provided one of their two Casa CN235 Maritime Patrol Aircraft which are used seven days a week patrolling the Irish Economic Zone. As it needed to leave before the end of the event we were treated to an engine run and nav lights before she departed. With so may airframes to photograph the allocated 3 hours passed extremely quickly and it was hard to fit everything in but suffice to say everyone left happy with the evenings results and the RAF Northolt Night Shoot XXI was an amazing success.